Andi Eigenmann who is 6 months pregnant was spotted at the Biblio launch to support her Kuya Gabby Eigenmann. I like her attitude. I'm sure if it's for other celebrities, they'd rather go on hiding but not Andi. She still looks very pretty even with a bump in the belly. Photos cared of pep.ph. Seen this Maxene Magalona in her twitter account with the title 'Experimenting hahaha'. 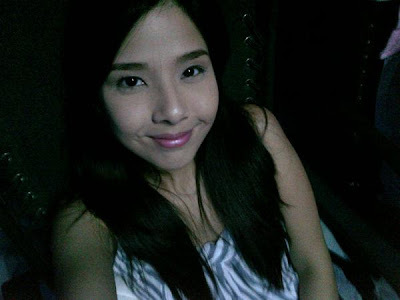 I wonder what Maxene Magalona is experimenting in this photo. Can you guess? I'm totally clueless.